Tiffany was such a stunning spring bride. 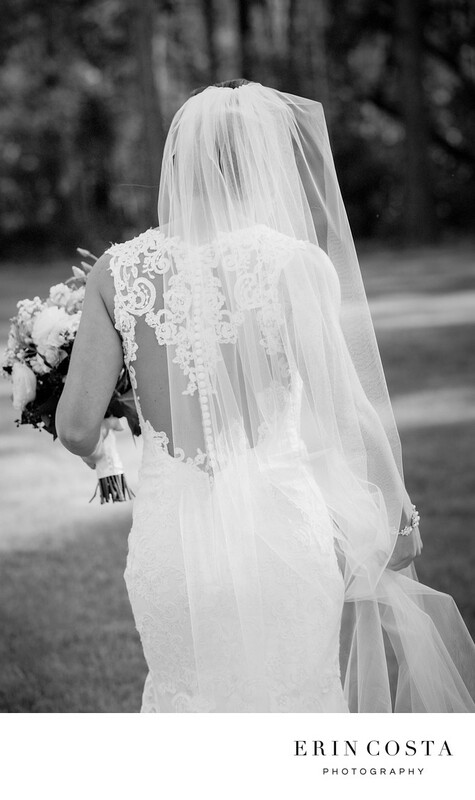 We especially loved her beautiful lace wedding gown from local wedding dress shop, Coastal Knot, accented by her stunning long veil. In this image at The Barn at Rock Creek, Tiff was just walking into the location we were going to photograph at next, and I grabbed this candid of her walking away. I just love how the black and white makes this feel like a moment you can picture yourself in. Location: 5900 Rock Creek Rd NE, Leland, NC 28451.